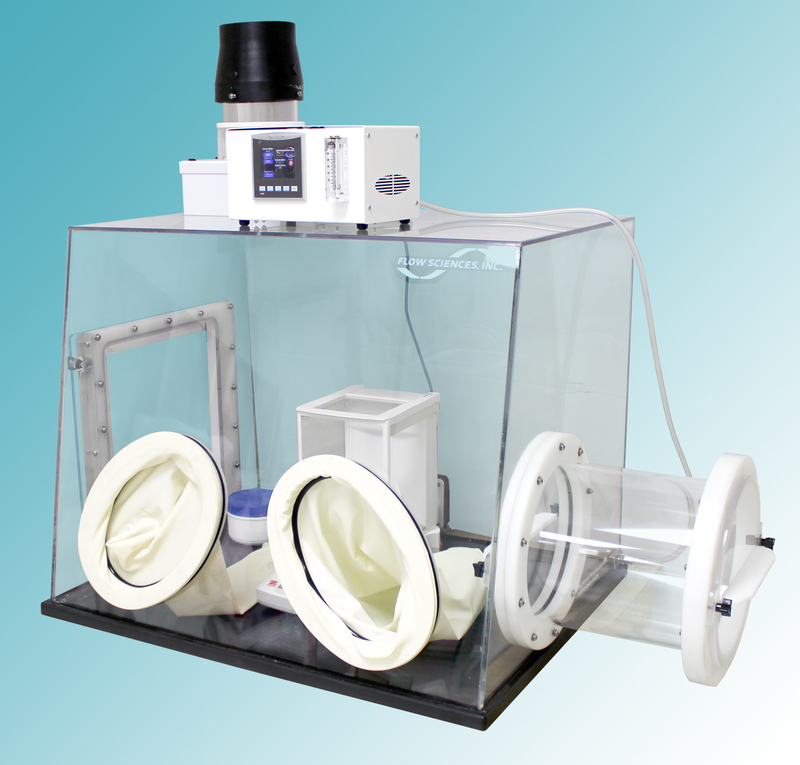 Flow Sciences' latest product, the Nitrogenema enclosure series, is capable of protecting a user's process by nearly eliminating moisture or oxygen with the flow of inert gas. Far more economical than a cumbersome metal isolator, the Nitrogenema series can meet many application needs. These enclosures are capable of protecting the process by nearly eliminating moisture or oxygen with the flow of inert gas. Safety of operator and process is accomplished with HEPA filtration, a one-way check valve, and the ability to connect to a house exhaust system. The Flow Sciences design uses AGS guidelines. The glove box is designed with a 28² depth and comfortable 10² oval glove ports which allow for minimised technician arm, wrist, and shoulder fatigue while maintaining a controlled environment. The Nitrogen Metering System (FS1501) is designed to conserve nitrogen. It features trending graphs that display RH%, O2, and temperature. There are two adjustable flow rates one for high flow purge and the other for low flow to maintain. The nitrogen saving auto shut off activates when the set point of RH% or O2 is reached. Audio and visual alarms trigger when outside the set point range. The Nitrogenema Glove Boxes are available in 3', 4' and 5' widths and two exhaust options.